Being a photographer, never mind the best Block Island Photographer is not easy. You need to have a plan depending on the weather and the light. There are not that many locations you can duck into if it rains. If you are planning outdoor photos, you need a photographer who has a plan. The Block Island venue featured in this photo is the Atlantic Inn. 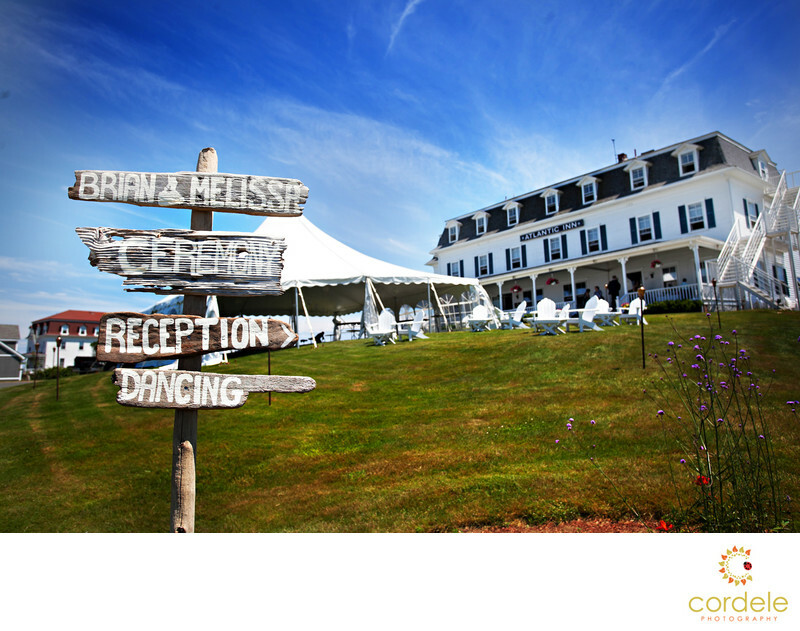 The inn is located in the heart of Block Island is has room for both an indoor and outdoor ceremony. They also have a tent that's available for outdoor receptions as well. Block Island is located of the coast of New York and Rhode Island. Its a quick ferry ride from Point Judith or Newport and Long Island.